Expressing annoyance with slow-paced application process for youth business loans scheme, Prime Minister Nawaz Sharif has ordered immediate disbursement of funds to successful candidates. 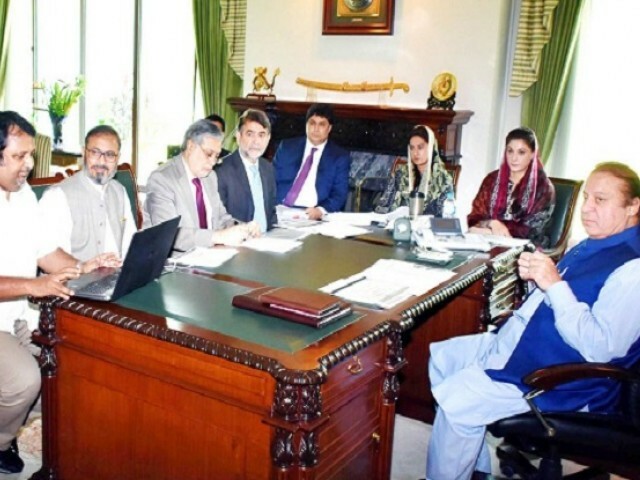 These directives came during a meeting on the Prime Minister Youth Programme (PMYP) at the PM House on Thursday, where the premier was briefed about the processing of cases submitted by National Bank of Pakistan (NBP). The Small Business Loan Scheme was announced in September 2013 exclusively for the educated youth willing to initiate their private businesses. Skilled individuals can get loans up to Rs2 million to jumpstart their work in the agriculture sector or to open workshops. Fifty per cent of loans have been set aside for women entrepreneurs. At the meeting, PM Nawaz expressed disappointment on the slow pace of processing of sanctioned applications, and instructed the NBP president to immediately issue sanction letters to all those applicants who have completed necessary formalities and are willing for a ballot within eight weeks. He said since applications received were within the National Finance Commission’s award quota, there was no need of balloting for the time being. The premier also instructed the NBP president to ensure release of all funds to the applicants who have been declared successful in earlier balloting. In order to make the loans more affordable, he announced a reduction in mark-up rate from 8 percent to 6 percent with effect from July 2015. This reduction would also be applicable on the loans already availed.